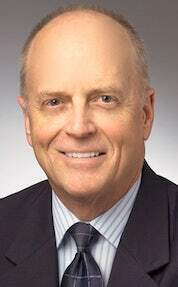 Ken Bovard's practice, which spans just over four decades, emphasizes commercial law and finance, asset-based lending, real estate secured transactions, sales and leasing of real property and personal property, corporate finance, consumer credit and related financial transactions. He is a member of JMBM's Global Hospitality Group®. Ken has extensive experience in representing banks, commercial finance lenders, savings associations, thrift and loans, mortgage bankers, and factors in financial transactions, licensing and regulatory matters. He also represents major motor vehicle manufacturers and their wholesale financing subsidiaries in distributorship and franchise matters, flooring financing, and retail financing transactions.